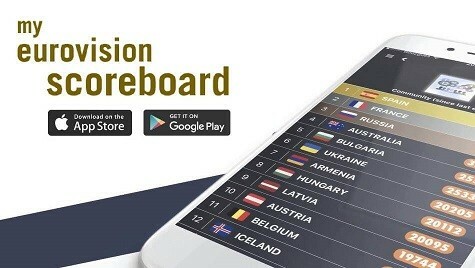 A number of countries returned to national selections to choose their entry for Eurovision 2018. However, 14 still decided to stick with behind-the-scenes negotiations and internally select their song. Whether it’s for financial reasons or to give the broadcaster more control over the final finished product, there’s good reason to internally select as it’s given countries a lot of recent success. Bulgaria will be hoping that this year’s internal selection will improve upon their fourth and second place finishes of their last two efforts and finally give them the crown. Belgium will also be hoping to at least replicate the double 4th place finishes of their previous two internal selections in 2015 and 2017. Australia, Russia, The Netherlands and Azerbaijan also have an overall great track record of internal selections, often entering the top ten. FYR Macedonia, Cyprus, Greece, Croatia, Ireland, Austria and Georgia will all be hoping that their own internal selections will get them similarly great results. Indeed, the current favourite with the bookies is Israel’s internally selected song “Toy” by Netta Barzilai. However, statistics aren’t in such a favour of an internally selected victory. Of the last ten winners only two songs have come through an internal selection — “Running Scared” in 2011 (although like Netta, Ell & Nikki both had to get through a gruelling selection process to be chosen as Azerbaijan’s representatives) and Conchita Wurst’s “Rise Like A Phoenix” in 2014. Do you think the pendulum could swing in the other direction this year? We want to know which of the 14 internally selected songs in this year’s contest is the best and has the potential to go onto win the entire thing. Note that although Netta was chosen to be Israel’s singer through a (marathon) selection process, we’ve included her in this poll as the song itself was chosen internally and the Israeli public had no say in choosing it. Similarly, while Waylon presented five possible Eurovision 2018 songs there was no public vote and “Outlaw In ‘Em” was chosen by Waylon himself. So without further ado, listen to all 14 songs below and then vote in our poll. As usual you can vote for as many songs as you like, but you can only vote once! And don’t forget to comment down below once you’re done. So only Greece and Georgia sent an internal selection in their native language! Greece is no good. singer sound like she has something in her mouth. crap. no chance for final. Cyprus is better. Belgium sound good but a bit too dramatic. Bulgaria is the winner! best song ever! I think if everyone listen to Bones 3 times in a row , we gonna have a landslide winner here. The only song you can listen on a loop with no problems. Again, I like several songs here. But, the ones I heard and liked from the first listen are FYR Macedonia, Austria, Belgium and Greece of course. So what is this poll supposed to prove? Meaningless really!! Israel. The rest are all miles behind – national selections delivered much better songs this year. Chose Greece (love it! ), Cyprus and Australia. The others are okay to average for me. Only the first two are in my top 10! Don’t worry – Greece won’t pass to the finals, Mark My Words!!! it’s a $hitty song, plain and simple. Spain will win! She presented 3 songs and the public akd jury choose the winner song of them. Belgium catching up with hype-queen Israel. Interesting! I am curious why all the countries on the “Vote” list aren’t showing up on the “Results” list. Despite having votes. Belgium is my favourite among these, and yes there are many good songs internally selected. I’m a feminist, but Israel’s song is a misandrist song. I can’t like it. My ranking of the internally selected songs. Greetings from Peru. Croatia is much better than Latvia. Belgium, Greece, the Netherlands and Macedonia. At the moment, all of them would finish on the left side of my personal scoreboard. So many people love “Toy”, so many people hate “Toy”, but so far I hadn’t joined any of those groups. I think it’s fun, I like Netta’s personality and I appreciate that it’s a pop song that doesn’t remind me about any other. But I will wait for the rehearsals to have a better idea of how much can I like that when compared to other acts. THIS! I like Netta and appreciate song’s originality, but am still unsure whether it’s something I would listen to outside of ESC. Not a passionate fan, definitely not a hater. I feel the same. I believe it’s a very interesting act to have on Eurovision even if I probably wouldn’t listen to it in a different context. Denmark’s song couldn’t be more different, but in my head would be a similar case. Of course “Toy” is something that can (and will) do well on the charts while “Higher Ground” would be a better fit for a soundtrack. Anyway, I like that those countries are sending something risky. I will be shocked, and I mean SHOCKED, if this year’s winner ends up being a national final song. If there is any year for an internally selected act to win, it’s this one. Can all countries apart from maybe Estonia & Sweden internally select next year? Belgium, followed by Greece and Macedonia. Oh well, Waylon would be my 2nd… Forgot about the Netherlands. I’m pleased with the current top3 (as of 19 West European time Friday night). I’d like to see Australia climbing higher tho. I mean as of now it’s Belgium, Israel, Greece – that will probably change as the voting progresses. The artist was internally selected but out of those three candidate songs the Finnish people had a say. That’s why I think Saara doesn’t fit in this poll category. Netta (internally selected song for the winner of a national final) is here, so Saara isn’t. Basically, these fourteen countries can’t compete in OGAE Second Chance as their networks only presented one, already chosen, song. No you are absolutely right. It happens every year with the number one song in the odds.Also happened with armenia 2014 and basically every song from sweden. If belgium or any other country keeps up their top 10 streak long enough it will also happen to them eventually. I’m not completely convinced by the song and it’s somewhere around my 20th/25th place, but I get what you say and think you’re completely right. I often don’t like the big favourites, but that’s just some coincidence and maybe it has to do with my taste. (In 2016 for example, I really loved Russia and he was the favourite.) But some People just always hate the favourite by default. Kinda annoying, but that’s some Eurofan thing I guess…. I’m in the process of my rating/sorting the list and three songs are the most difficult to rate – Toy, Who We Are and Under the Ladder. Rebecca’s Who We Are is a much better song indeed. I loved the Sanmarinese song when Irol and Jessika sang it together. Jenifer’s rap seems out of the place and makes it odd. Hvala, ne is for me one of those songs which I find okay, but not something I would listen to and hence, it’s not very high on the list, but the grade isn’t bad. For me, Belgium, Greece and F.Y.R. Macedonia (all in my top 5). Bulgaria is growing on me. I feel like this year the entries that were internally selected are stronger than the ones selected by a national final and I’m pretty sure an internal selection is gonna win this year.